One day in India, a strange occurrence happens- Hemu Joshi looses his shadow. Not just for a moment, but seemingly for good. At first, he is revered as someone special, closer to the Gods. Then, he begins to forget things- important things, like his family and where he lives. Hemu is placed in a facility, but the plague of shadowlessness is spreading along with the loss of memory. People are forgetting how to read, walk, eat and sometimes breathe; however, they also have power in their forgetting. When the forgetting reaches the United States, a wedding party holes up in Elk Lodge, Max and Ory decide to stay and survive there, until Max looses her shadow; Naz, an archer is outfitted with her bow and arrows to fight whatever craziness comes. All of the survivors, shadowed and shadowless alike hear rumors of a city that still stands, New Orleans and a person there who may be able to help. The separate groups fight their way to New Orleans, but what will they remember when they get there? A unique and engaging dystopian read that introduces a new danger into the world. The narrative switches between several points of view: Ory, Max, Naz and The One Who Gathers. Through these very different sets of eyes, we see the world slowly devolve as people loose their shadows and their memories. I was very interested in the shadow/memory connection and how it could possibly be solved. I was also amazed at how the loss of memory turned dangerous and perception mirrored reality for a shadowless- if you forget a place, it disappears, if a shadowless believes that a deer now has wings, it does. This opened up a world of endless opportunities as well as engaging questions: who are you without your memories? What is it like to live without remembering your past or what you have learned? In this world, it seems that despair and destruction reign free, but through Max and Ory's stories, we see hope and love. 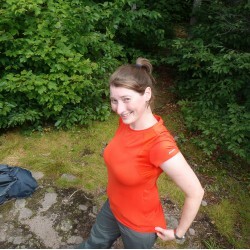 Ory is determined to find Max despite putting himself in danger and Max is determined to keep Ory in her memory by recording herself, but keep him safe by running away. 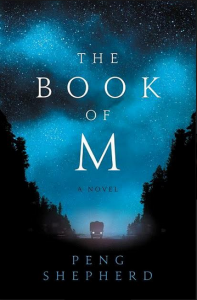 With an unexpected and exciting ending, The Book of M is a memorable and imaginative read.